THE NEXT AWARDS RECIPIENTS WON’T RAISE THEIR OWN HANDS. THAT’S WHY WE NEED YOU! NOMINATIONS NOW OPEN. Do you know of someone who exemplifies the best of UBC? Do you know a graduate, faculty or friend of UBC who deserves to be recognized as a leader, advocate, artist or visionary? This is your chance to give them the limelight they richly deserve. 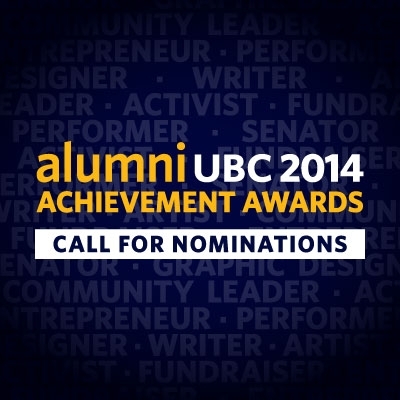 Now accepting nominations for the 2014 alumni UBC Achievement Awards. 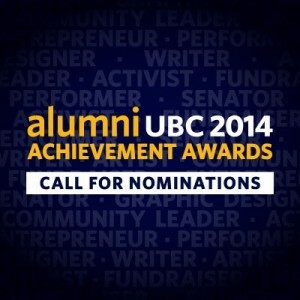 Complete details are online at http://www.alumni.ubc.ca/nominate. The Irving K. Barber Learning Centre has collaborated with alumni UBC for some exciting and intellectually stimulating programs. 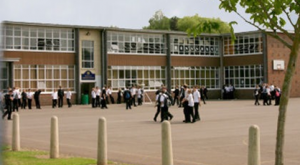 Watch some of our webcasts from the past here.